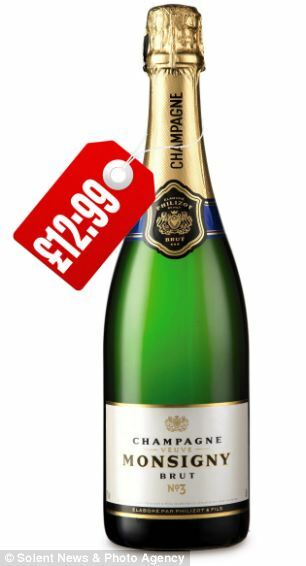 A bottle of Aldi bubbly which costs just £12.99 has beaten some of the world's most renowned champagnes in a blind taste test. The cut-price supermarket drink was voted by experts as better than other bottles, some of which were ten times more expensive. The second vintages of Robert Oatley's impressive Signature Series wines continue to garner acclaim, both at home and abroad. In news released this week, Decanter, Europe's most respected wine magazine has announced the 2013 World Wine Awards winners, where judges tasted a record-breaking 13,362 wines to award 156 trophies. Robert Oatley Signature Shiraz 2011, from South Australia's McLaren Vale, collected the trophy for the top Australian Red Rhône Varietal under £15. This impressive award adds to numerous golds and trophies garnered by the range of six regional-varietal wines over the past 18 months, including a top-gold for the Signature Riesling 2012, at the 2012 International Riesling Challenge, held in Canberra. "What a terrific result" said Executive Chairman Sandy Oatley "...that speaks volumes for the quality of the wines being produced by Larry Cherubino and our team of growers and winemakers. 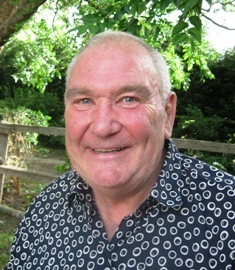 No wonder we're enjoying enormous sales success as we present them around the world." The Robert Oatley Signature Series comprises six wines, with an RRP of $24 and are available at fine wine stores and restaurants Australia-wide. cold-weather's lamb, pork or veal casserole. RIDDOCH Coonawarra's a company one could easily write a fascinating book or three about, beginning with Scottish-born pioneer John Riddoch who rode the wool boom of the 1860s, and 30 years later planted Coonawarra's first wine grapes in 1891. Along the way he and a brother amassed nearly 50,000ha of prime agricultural land, amongst other things establishing the Coonawarra Fruit Colony that included those first wine grapes; the region struggled from 1901, however, and the grapes used only for brandy and fortified wines until Samuel and David Wynn bought the winery and many Colony vineyards in 1951 and put Coonawarra back on the fine-wine map. Today Riddoch Coonawarra is owned by the Pinnacle Liquor Group whose ambition is to see more wine lovers enjoy the wines of this unique region – and their recently-released 2010 Merlot is one that will most certainly help them do so. with barbecued meats, game or seafoods. Crafted by the Pinnacle winemaking team and consultants including Coonawarra legend Wayne Stehbens, this is a wine that's got beautifully intense mulberry and herbal fruits to the forefront, gently-layered spices and fine chocolate in there as well, balanced tannins and fine acidity. At $19.99 it's rewarding buying considering its quality, and a drop to enjoy with tomato-based Italian dishes, or traditional cold-weather lamb, pork or veal casseroles. ONE TO NOTE: WHEN early-day European vignerons set fire to piles of winter-time prunings of their grape vines, they found that meats grilled over these fires took on a pleasantly unique and slightly sweet smoky flavour – and so they turned their "early barbecues" into an annual mid-winter festival they called Vinefire. Today the Hunter Valley's Hungerford Hill is honouring the old tradition with a VINEfire label, one of whose wines is a very more-ish 2012 Chardonnay that's refreshingly dry and with lovely honeydew and banana flavours. And at $18 it lives up to the vinefire tradition of being a perfect match with barbecued meats, game or seafood. HUNTER Valley maker Andrew Margan has an unusual wish for his 2011 White Label Barbera – "I hope no one likes it," he confides, and then adds a little cheekily, "so I can drink it all myself." Sadly for him, but happily for wine lovers, Andrew won't get his wish. We for one found it a wine to take to with gusto, and we're sure others will do the same once they've had a chance to taste it. For this is a wine that's nicely medium-bodied, has forward dark berries, spice and some earthiness on the palate, and with its natural high acidity and long tannins, is one that's a natural as a truly excellent food wine. Andrew drew on fruit from the family's Ceres Hill Vineyard that's adjacent to their Broke winery, fruit whose vines in 1998 were the first Barbera planted in the Hunter, and which in turn had come from Italian stock planted on Mudgee's Montrose vineyard. White Label wines are Margan Family Winegrowers' best-of-the-best, and this one well fits the role – at $40 enjoy with heartier beef dishes including, with cooler weather on the horizon, a good steak pie. You'll find its little wonder Andrew says he wishes he "could achieve exactly this every year" – and why his wish that no one will like it, so he can keep all his 2011 Barbera to himself, simply won't be fulfilled. other occasions for that matter. ONE TO TRY: RYMILL Coonawarra's Senior Winemaker, Sandrine Gimon is another who has put the "favourite" moniker on one of their 2011 wines – in this case the Rymill Coonawarra Brut. "I have a soft spot for sparkling after my vintages in Champagne," says Sandrine, who can boast having studied in Reims and trained at Veuve Clicquot Ponsardin – neither of them mean feats. "As soon as I tasted the Coonawarra fruit on coming here, I knew that stunning sparkling wines could be created here too," she says. A blend of 82% Chardonnay, 10% Pinot Noir and 8% Pinot Meunier, and made in the traditional method, this is one that's all about flavour and characteristics that shine – and at just $25 great buying for celebratory occasions… or for that matter, any time bubbly thoughts come to mind. Peppers Salt Resort & Spa in the picturesque seaside village of Kingscliff in Northern New South Wales is spicing up their next series of Peppers Gourmet Food Trail events with a showdown between 'rival' winemakers at their inaugural 'Wine Wars' event at Season restaurant on Friday 7 June. Ensuring an entertaining evening of light-hearted rivalry, the event will see two South Australian wine greats - Petaluma from the Adelaide Hills and St Hallet from the Barossa Valley - bring the vineyards to the coast. Guests will savour two masked wines per course and palates will be put to the test with guests asked to vote on their favourite. At the end of the evening, the winning 'Wine Wars' winemaker will be revealed. 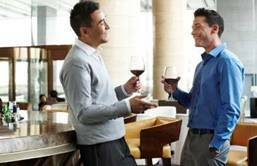 Accompanying the wines, guests will enjoy a degustation dinner hosted by celebrated wine critic Nick Stock and designed by Peppers Salt Resort & Spa's newly appointed Executive Chef Martin Glutz and Chef de Cuisine Daniel Watt - the resort's new dynamic duo of creative cuisine. Swiss-born Martin Glutz has over 15 years experience cooking in some of the world's finest restaurants including Vanitas Restaurant at Palazzo Versace on the Gold Coast, La Fontaine Restaurant at Hayman Island, and Tony Bilson's former Ampersand Restaurant in Sydney - bringing a world of flavour to each and every dish he serves. New Chef de Cuisine Daniel Watt will oversee the day-to-day culinary operations of the resort's acclaimed Season restaurant. Peppers Salt Resort & Spa General Manager Scott Lynch said Martin and Daniel will work together to create a whole new culinary experience at Season. "Both chefs are renowned for beautifully crafted and technically brilliant cuisine and have a passion for cooking with seasonal and local ingredients. "They're a perfect fit for Peppers and our commitment to showcasing regional food and wine, from the paddock to the plate, with gourmet dining experiences," said Scott. Tickets to the Wine Wars event are $135 per person and include a pre-dinner drink and canapés, a stunning three-course dinner matched with wines selected from both wineries, a decadent dessert and coffee and petit fours to complete the evening. For guests wanting to linger longer, overnight accommodation starts from $178* per night in a Resort Room including breakfast for two at Season, unlimited new release movies and Wi-Fi internet access. For bookings call 02 6674 7777 or email salt@peppers.com.au. When guests aren't savouring fine food and wine, they can step out into nature and enjoy a network of beachside walking and bicycle tracks, the resort's large sandy beach lagoon pool, unspoilt surf beaches, or head to The Golden Door Spa for a menu of soul soothing spa treatments. IT'S not often a wine company will 'fess up that they've let their eye off the ball, but Yellowglen has done just that – and is doing something very positive about it. "While our commercial tiers have been responsible for the incredible growth of Yellowglen over the past decade," says Managing Director, Michelle Terry, "there is one element of our story that has been overlooked in recent years: that is our place as Australia's premier house of sparkling. "So over the past year we've reviewed every element of Yellowglen. We've re-engaged with founder Ian Home to uncover the depth and heritage of the brand, we've reviewed our branding and packaging, and we have introduced new wines… including the recent release of the Exceptional Vintage XV wines one of our greatest achievements to date." There's a 2002, a 2004 and a 2012 in this new range, the 2002 a drop that shows the extraordinary quality Australia can achieve with our sparklings – as Michelle Terry says "this is the ultimate showcase of Yellowglen's hallmark refined and delicate characters, enriched with layered complexity." cutlets and a seasonal garden salad. Made with fruit from the Adelaide Hills' Piccadilly Valley, it was given nine years on yeast lees in bottle in the company's cold cellars; you'll find it intense yet elegant, with floral notes leading to a rich and complex palate, and with a delicate bead and fresh, lingering finish. Pay $49.99 for that next very special celebration. 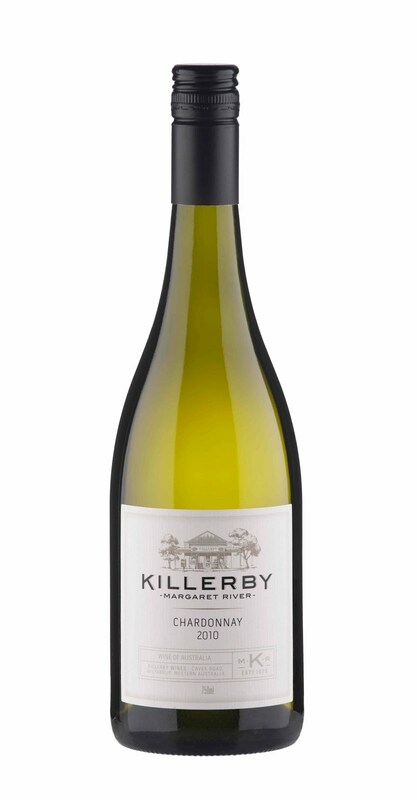 ONE TO NOTE: ALTHOUGH it was taken over by Ferngrove Wines in 2008, Margaret River maker Killerby has continued to concentrate on "small winery" techniques and philosophies that it's gained an enviable reputation for since its founding in 1973. 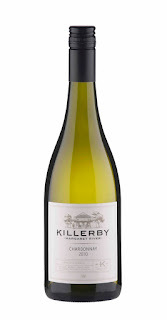 And that reputation flows through with the release of their Killerby 2010 Premium Series Chardonnay, a rewarding drop with limey citrus, stonefruit, ginger and zesty lemon flavours, and a long and pleasant finish. A nice drop at $30 to enjoy with crumbed veal cutlets and a seasonal garden salad.